At Legal Field, we offer our clients a team of professionals specializing in legal advice , consultancy and training on matters relating to corporate affairs, mainly in the area of banking activities and the financial markets as well as Company Law. 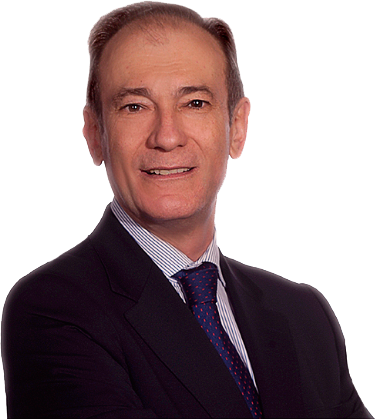 Legal Field was founded by Ramón Hernández Peñasco, a lawyer with over 30 years’ practice in the financial sector (BANESTO and BANCO SANTANDER) who has now decided to embark on his own professional project. He was Head of the Legal Department for Markets and Financial Area at BANESTO (issuance and placement of securities, trading of derivatives, securities lending and other financial products and transactions of the capital markets). He was also responsible for legal matters at other financial entities in the Banesto Group (BANCO DEL DESARROLLO ECONÓMICO ESPAÑOL, S.A. “BANDESCO”, devoted to private banking; BANESTO SEGUROS, S.A., an insurance company; BANESTO BOLSA, S.A., a stockbroking firm; and BANESTO BANCA PRIVADA GESTIÓN, S.A., a Management Company for Undertakings for Collective Investment), as well as the Secretary to their Boards. Regulatory Compliance, development of new products, finance and Recovery. He also has a wide experience in providing legal advice to other areas of finance, such as Regulatory Compliance, development of new products, finance and Recovery. At the Santander Group, he worked on Corporate Governance issues and he has held seats on the Board of the Spanish Issuers Association and on its International Committee. “Instituto de Estudios Bursátiles” (“IEB”): professor in both Securities & Financial Master and MBA in Finance. Author of publications on topics related to the financial markets and Corporate Governance. Arbitrator at the Court of Arbitration in the Madrid Bar Association.